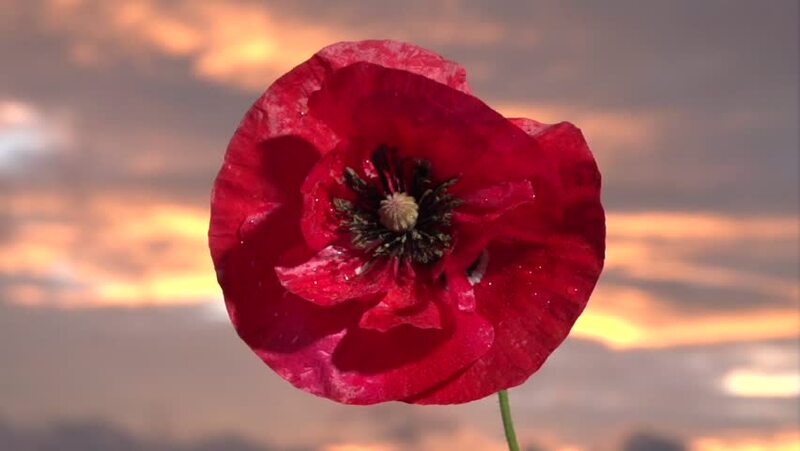 hd00:31Red poppy in rainy weather with raindrops swinging from the wind against the background of thunderclouds. Slow motion 240 fps. High speed camera shot. Full HD 1080p. hd00:10Poppy cultivation.A large red poppy with a white border.A light breeze drives the poppy.The flower is odorless.Fragile, delicate creature.Decor for the desktop. hd00:10Lonely and unrepeatable.Under the gust of wind, I stood. In the garden blossom poppies.A delicate flower. In the sunlight, a beautiful creation.